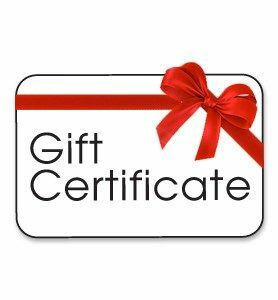 Gift certificates are a great way to show your support and help someone you care about to lose weight, get fit, and improve their overall health. Does that special person have a birthday coming up? How about for Mother’s Day? Are the holidays just around the corner? Or is it “just because”? The next time you are asked what you want for your birthday, ask for a gift certificate. No matter the reason, you should give the gift of health! Gift certificates are available in various denominations to best fit your needs.